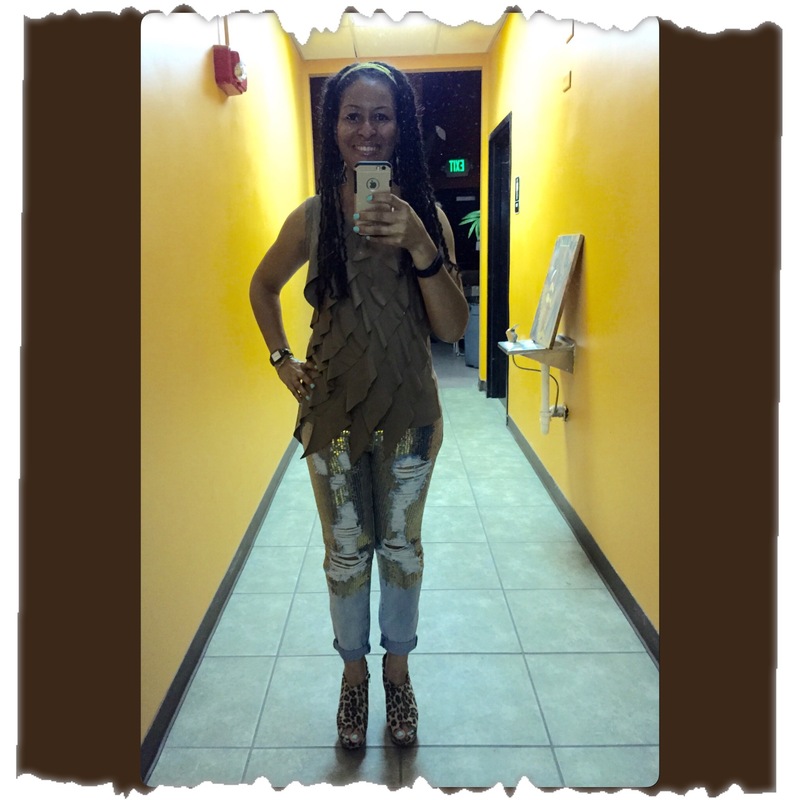 I shared earlier this week that I attended my friends’ 40th birthday party and I wore the perfect jeans that got all the compliments! Well, my shoes got compliments too lol. Here’s a lil back story on what I wore. During the epic fail of Pink Sunday – the Lily Pulitizer launch at Target, I had to live vicariously through other lucky girls that got in on the fashion finds since I didn’t. While lusting over the IG posts, I stumbled upon a fashion bloggger out of Dallas that was wearing thee best blinged out jeans, gold sequins and I just had to have them. Check out Blingaholic88 ‘s post. The jeans can be purchased here. NOTE: It took them a while to come, a month or longer! This entry was posted in Fashion, Leopard Print. Bookmark the permalink.